Great news! 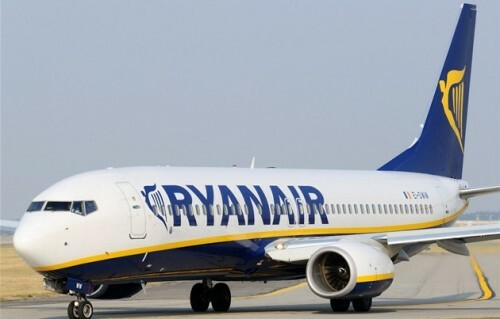 Ryanair will fly to Lisbon and Mallorca from Wroclaw! We have good news for all travelers in the Czech Republic and Poland! Ryanair announced it will launch brand new route from Wroclaw to Lisbon and Mallorca! This is amazing news because there is a huge lack of cheap flights to the South Europe from the Czech Republic and South of Poland. Flights to Lisbon were possible only with expensive TAP Portugal connections costing at least €200 or with stopover in Milan or London which takes lot of time. The same situation applies to Mallorca which is available only with terrible airline Smartwings for €200+. Getting to Wroclaw from Czech Republic is simple because it’s quite close to the Czech border and there are also regular Polskibus buses from Prague which take you to Wroclaw in just 4 hours for a cheap price. The flights will be operated twice a week on Tuesdays and Saturdays. Ryanair will start flying to Lisbon and Mallorca from Wroclaw in May 2017. Tickets are already bookable on Ryanair.com for only 133 PLN per one-way flight, which is around €30, so you can get return flight for just €60! And as we know, Ryanair will for sure come with even lower price few months before the Summer 2017! One 10 kg cabin luggage up to 55 cm and one other smaller bag up to 35 cm are included in the price which should be sufficient for your short vacation. Thank you Ryanair for further expanding your network, let’s hope there will be even more destinations added across the whole network very soon! « Error fare: Cheap flights to Thailand – Koh Samui from Prague for only €394!